You may think I am going to be writing about favorite summer drinks but that’s for another post! I don’t know if its the season or the fact that I spend a lot of time in my bright, airy Los Angeles abode but I love looking for new ways to redecorate my space! One of my favorite things to have at home is a signature scent – it’s the perfect touch when I return from a long day out and about or when entertaining guests. 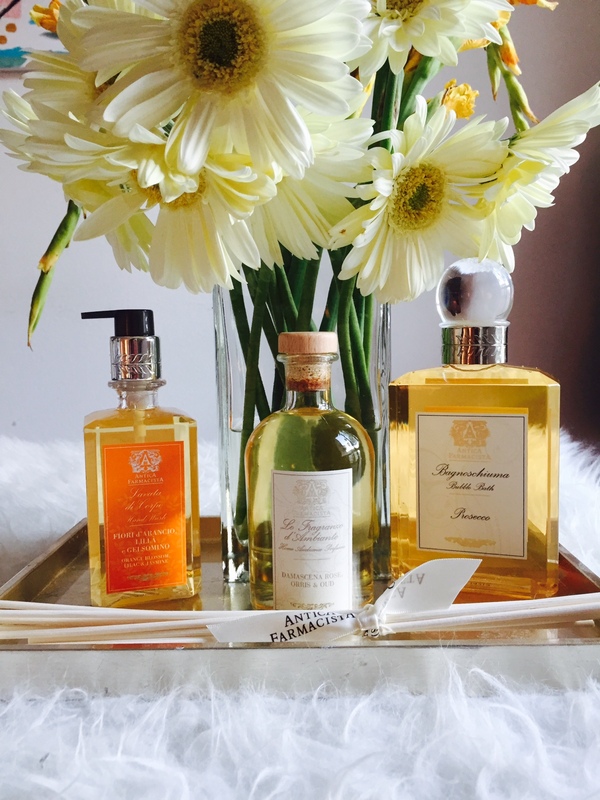 Enter Antica Farmacista a luxury fragrance brand for the home that I have loved since discovering them years ago while living in Seattle. Since they are the perfect fit for my lifestyle, you can imagine I was thrilled when they sent me a few things to try. 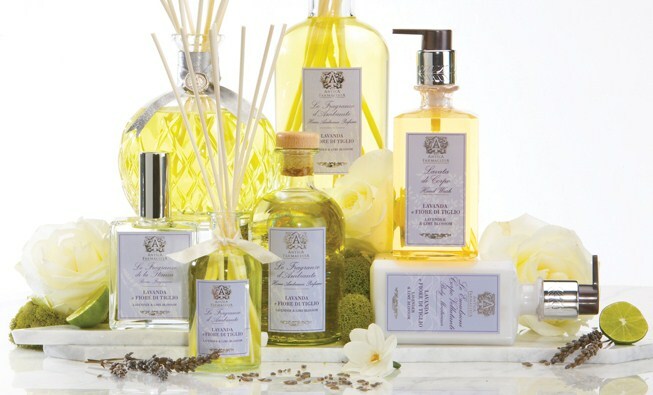 I absolutely love the quality of Antica Farmacista’s products, their use of fine essential oils, and unique blend of scents. I instantly fell in love with the Prosecco, Acqua, and Damascena/Rose/Orris & Oud fragrances and wanted to share a few of my favorites. BONUS – you can still shop them right now at the Nordstrom Anniversary sale and I’ve included links to my favs below! These are great! I saw them at Nordstrom but never thought to try them until now. Will definitely be checking them out. Ohhh! Definitely give them a try – they won’t disappoint! Let me know what you get. I have been looking for a good home diffuser scent and/or candles. Will definitely take a look. 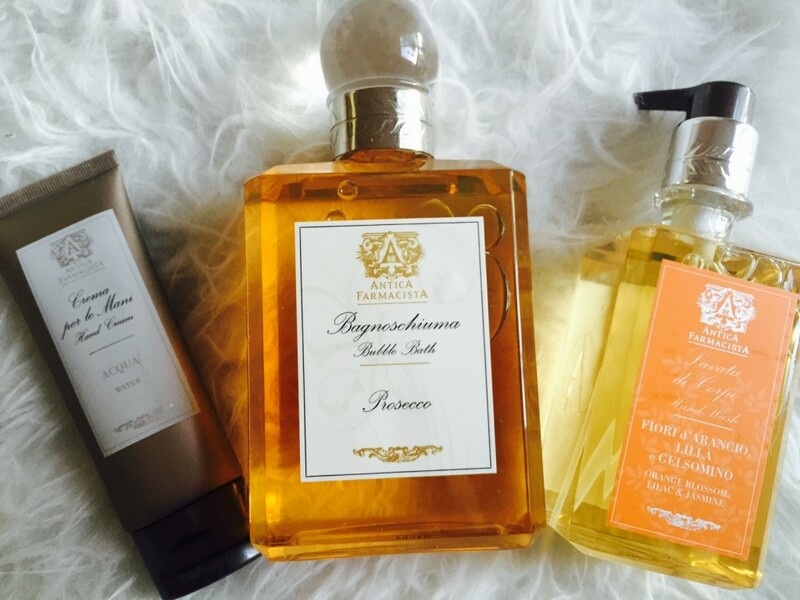 Antica Farmacista is definitely worth it and there are so many different scents – they are sure to work for everyone’s taste! Plus they are super luxurious. Let me know what you get! !